Hearty, filling and comforting – that’s what we love about mushroom soups the most. A bowl of delicious creamy goodness is as good a treat on a dreary fall evening as it is on a sunny spring day. It will warm up your body as much as your soul. 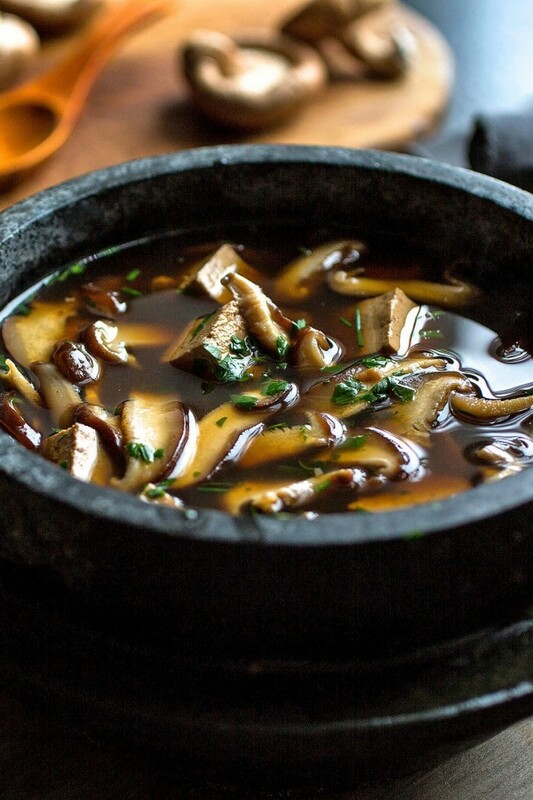 If you like mushrooms you’ll love our selection of some the best mushroom soups ever. And while not all of these recipes may be the healthiest, you will definitely love making them now and then to treat yourself and your family. Creamy soups are delicious but instead of cream why not try something else to spruce up the taste. 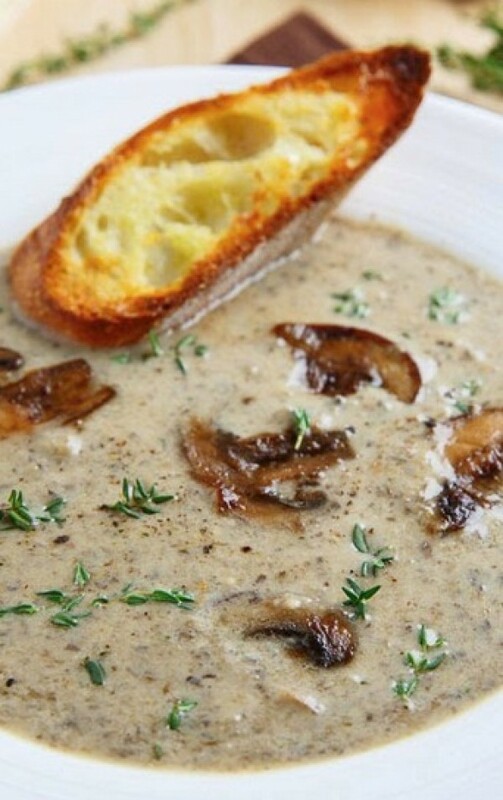 This mushroom soup made with brie is to die for. 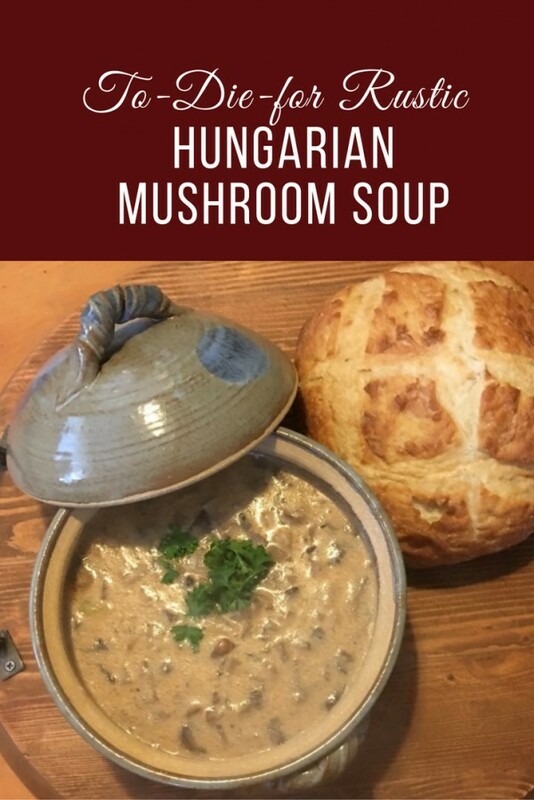 Try this creamy Hungarian mushroom soup for a real delight to warm you up. It can easily become one of your favorites. 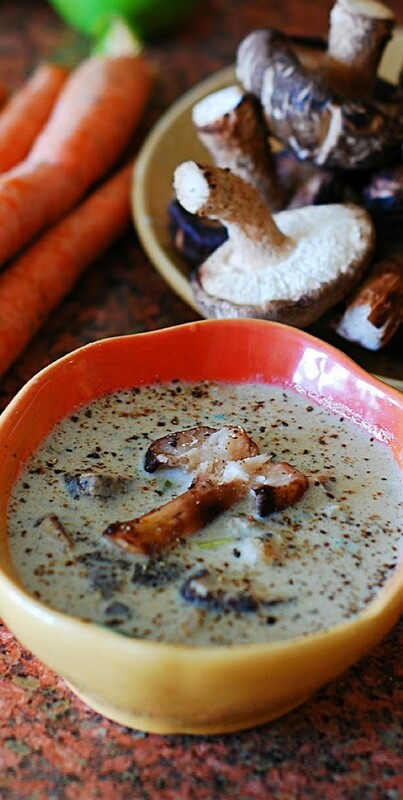 If you really like mushrooms this creamy soup is thick with them. And that makes this dish all the more addicting. If there’s an ingredient that makes a mushroom soup better it’s chicken. It’s the flavor combination you have to try. Who said mushroom soup can’t be healthy? 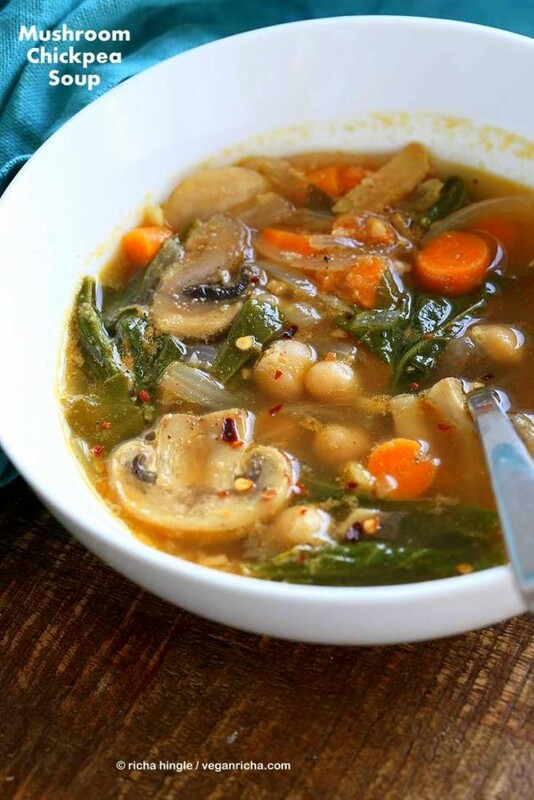 This mushroom broth is full of nutritious veggies and little fat, it’s only good for you. 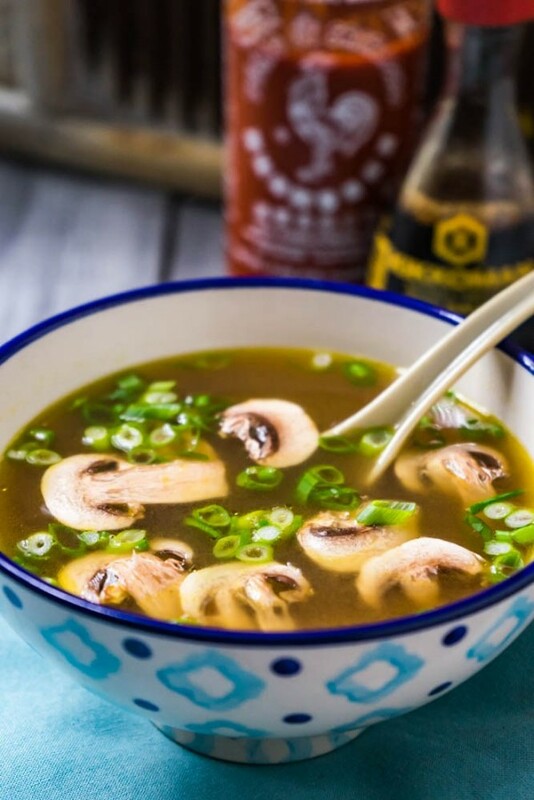 Another low fat mushroom broth on our list. This soup has few ingredients in it but it’s still very flavorful. 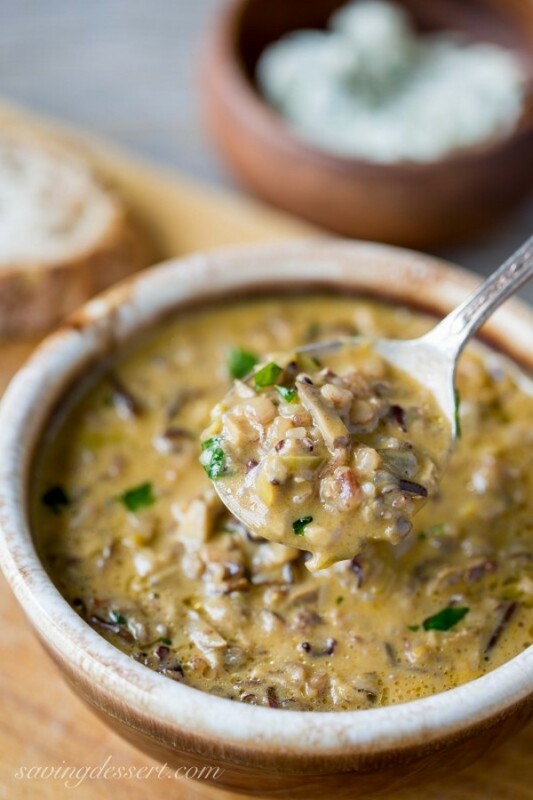 This wild rice and mushroom soup is best made thick and it’s true comfort food for a rainy day. You’ll love the combination of flavor. Another simple but very flavorful dish for you to try. 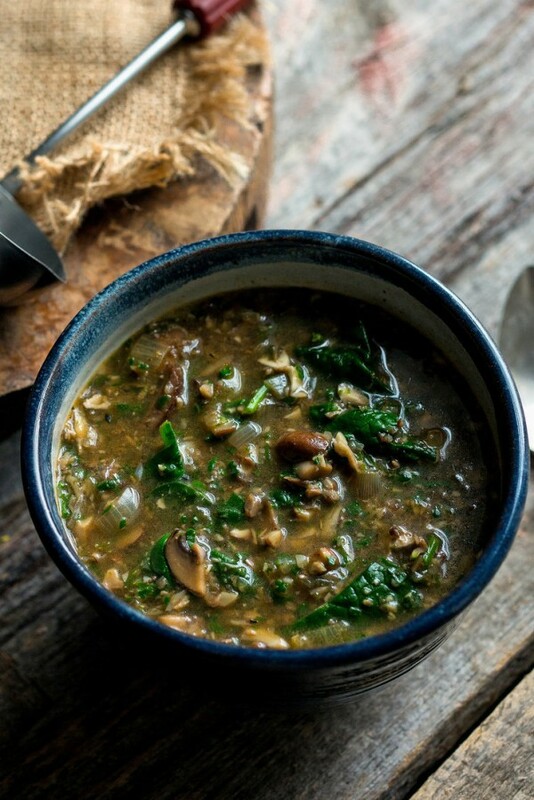 The combination of mushrooms and spinach is definitely a winning one in this soup. 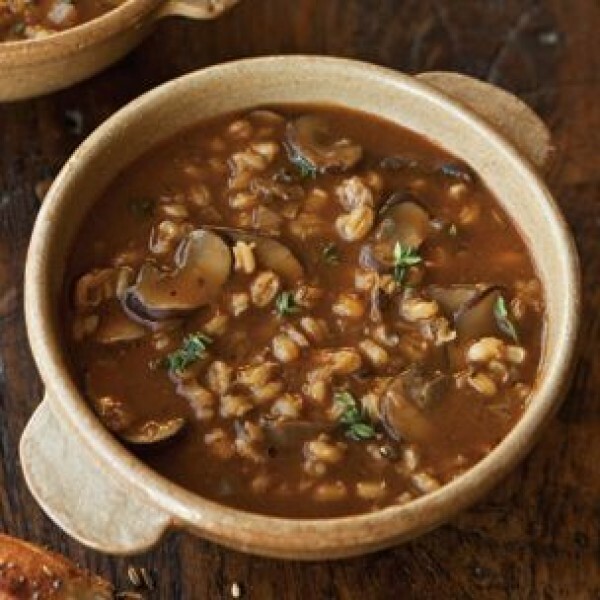 This mushroom and quinoa soup is nutritious and healthy. If you’re looking for an energy boosting food after a good workout, try this dish. What makes a mushroom soup better is actually roasting the mushrooms first. Try this recipe and you’ll love the taste. 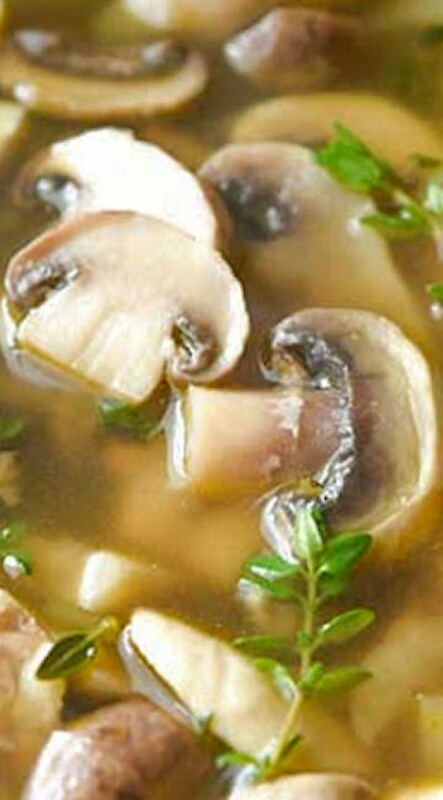 The addition of tofu to this mushroom soup makes for a deeply flavorful dish. You’ll love it if you like Japanese food. Barley deserves a comeback in modern kitchen and this dish is proof of that. Healthy and nutrient rich flavor will leave your stomach pleased. 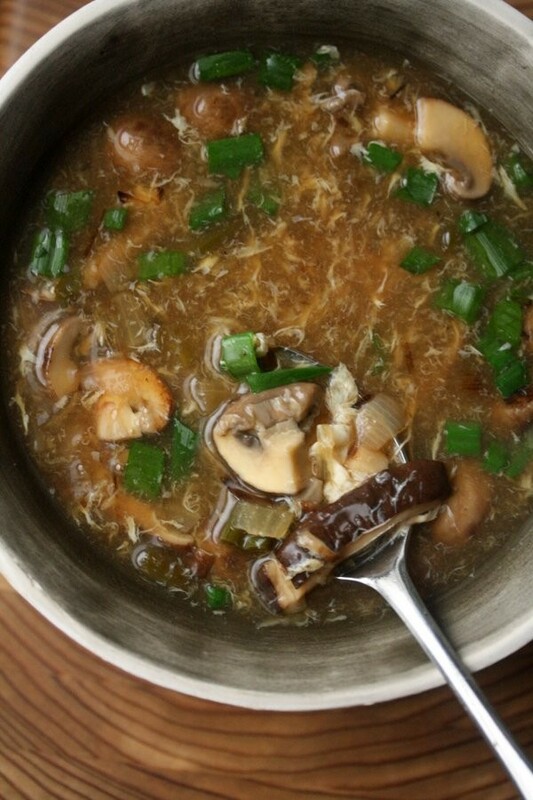 Meaty mushrooms can be prepared in many ways, a hot and sour soup is one of them. Enjoy this exquisite taste and deeply rich flavor. 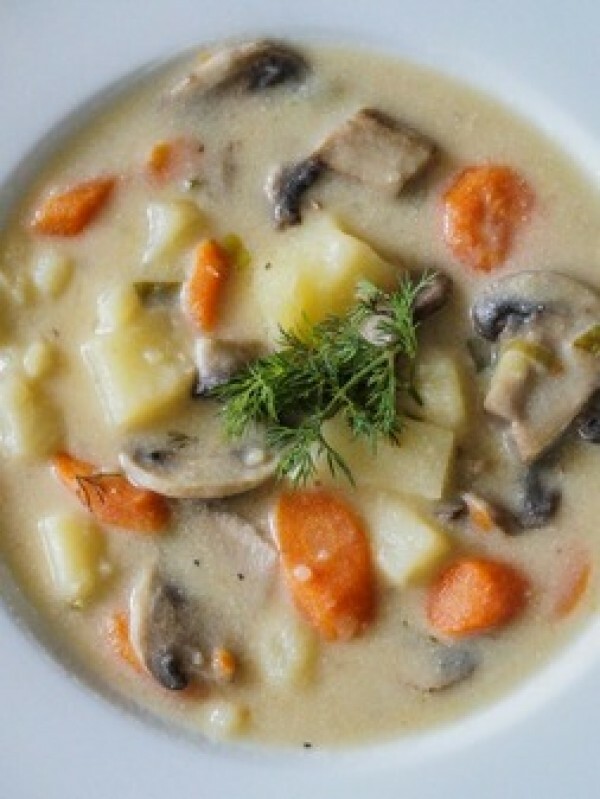 We have many healthy mushroom soup recipes on this list and this is another one. It has lots of veggies and nutritious chickpeas that will satisfy any fitness nut. Spices from the Middle East are very rich and can transform any dish completely. So is the case with this spicy mushroom soup. You’ll love this creamy soup rich in flavor. 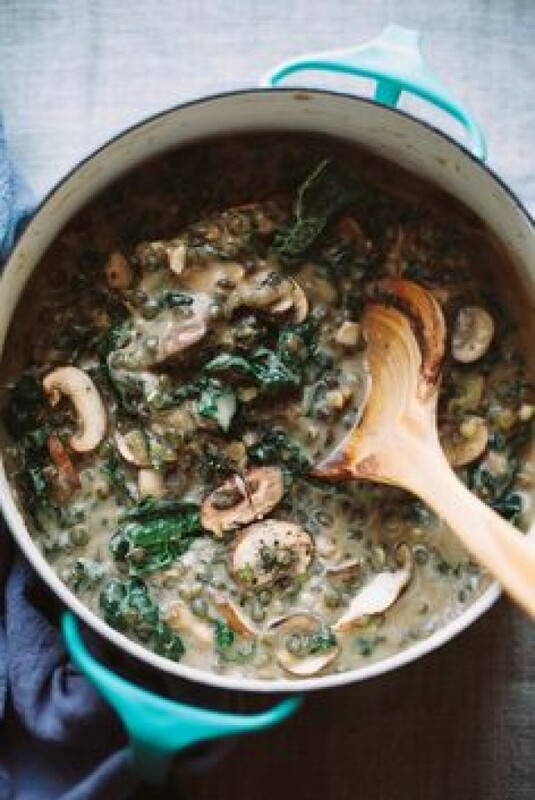 It’s as nutritious as it is hearty – the combination of mushrooms, lentil and kale is definitely a winning one. 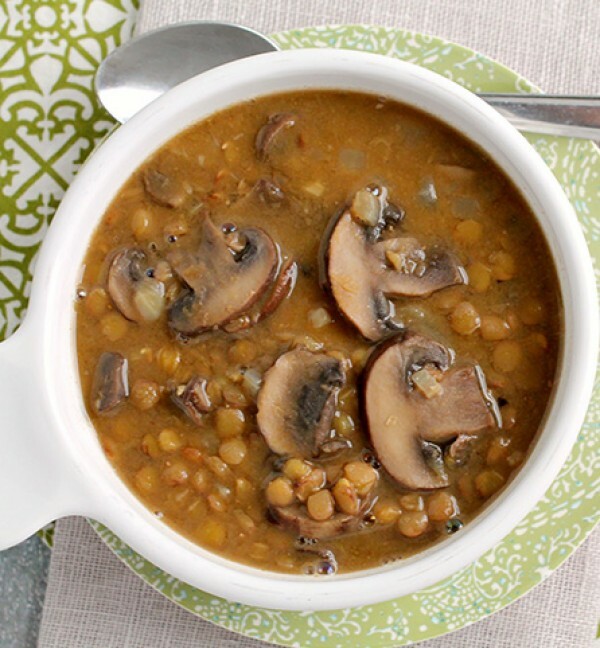 We love the combination of lentil and mushrooms so here’s another great recipes for a soup. It’s delicious and healthy. Mushroom soups are usually vegan friendly, but if you want to be sure, here’s a remarkable recipe for you. 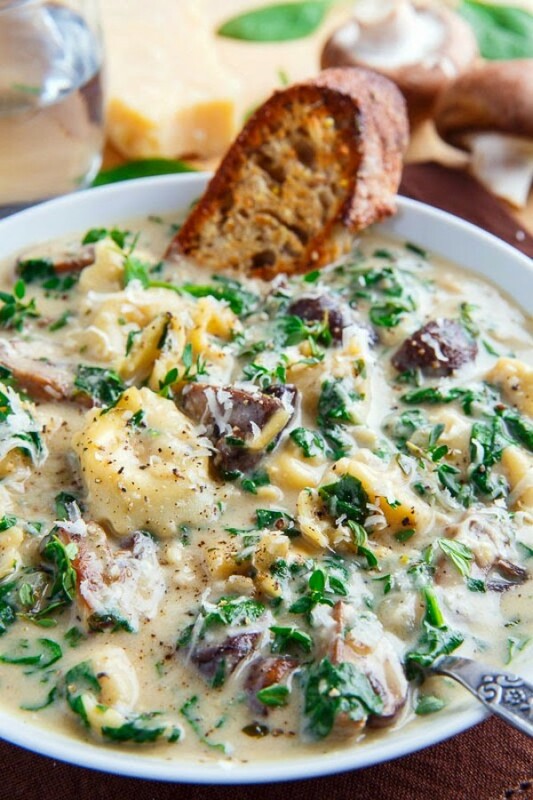 You have to try the combination of mushrooms and potatoes in this soup. It makes a chunky, creamy and very flavorful dish. 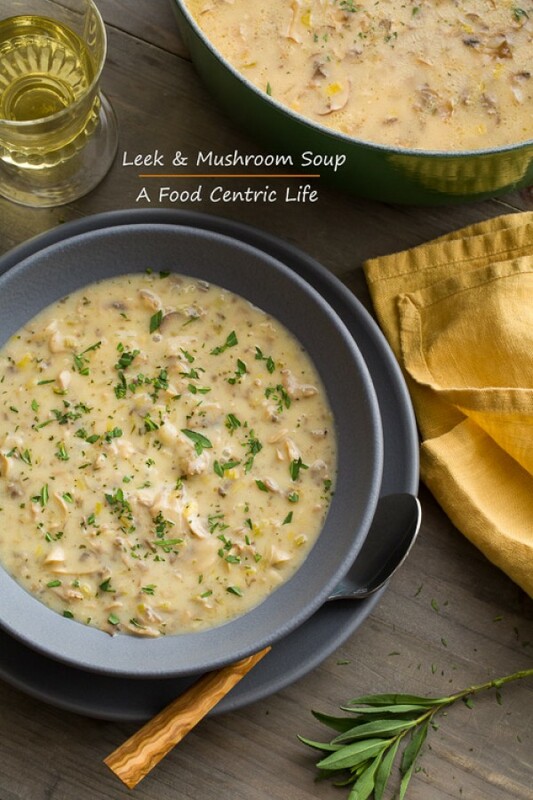 Mushrooms go very well together with lots of veggies but leek gives this soup an exquisite flavor. You have to try it. 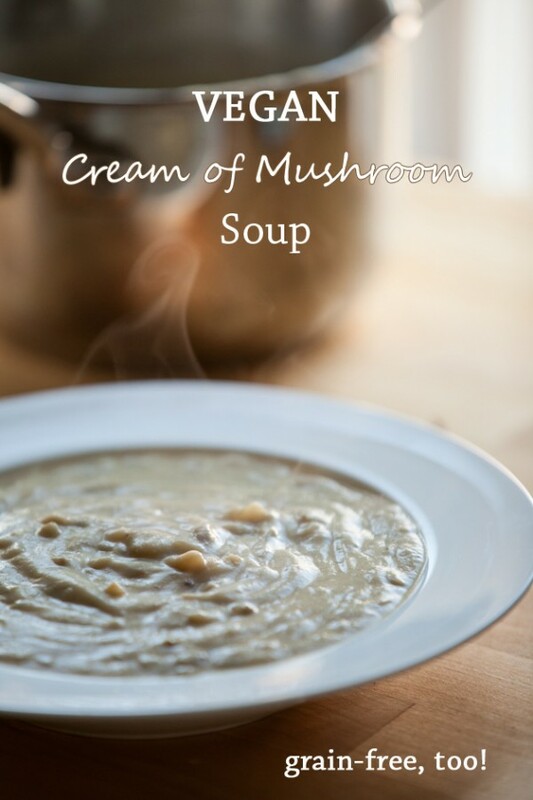 This creamy mushroom soup can be made from any mushrooms other than Shiitake and it will turn out absolutely delicious every time. 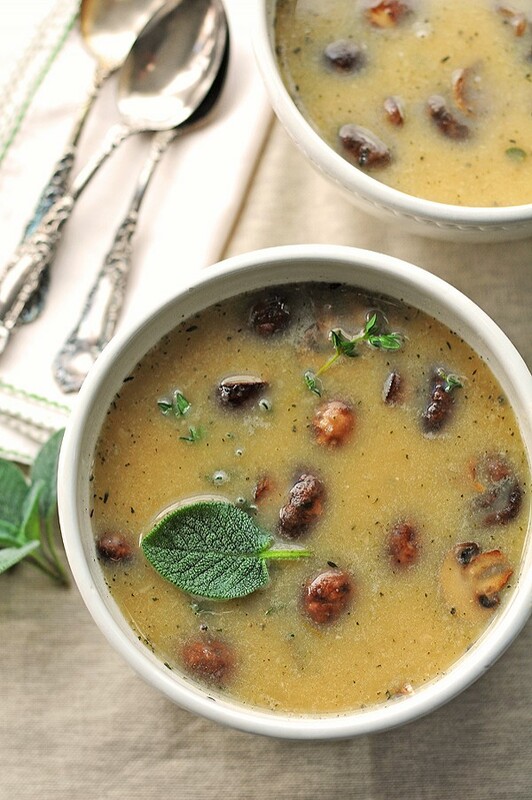 Creamy, chunky, earthy and delicious, this dish is everything you’d want from a mushroom soup. Try it with any kind of wild mushrooms.